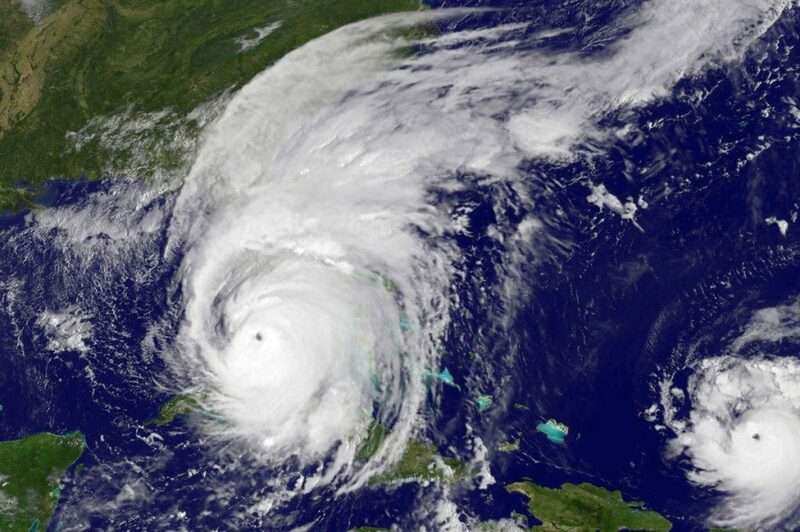 Residents of Florida can breathe a sigh of relief after the National Oceanic and Atmospheric Administration predicted minimal storm activity for the rest of Atlantic hurricane season. 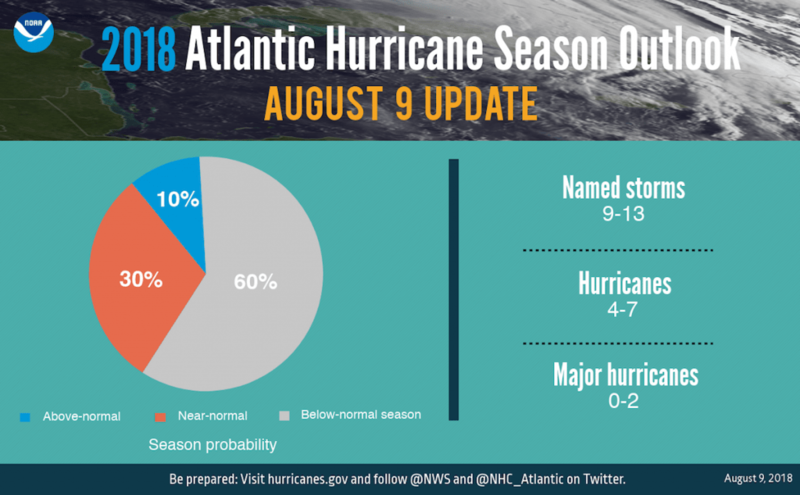 While there will be storms formed in the coming months, the service tasked with overseeing storm activity in the Atlantic predicts a 60% chance of a below average season. The chances for an above average season have fallen to 10% likelihood. After hurricane season in 2017 saw several storms cause significant damage in the Caribbean and mainland America, the news for a below average season is very much welcome. Hurricane Harvey and Hurricane Irma caused widespread devastation, leaving the total damage estimate for the season at more than $282 billion. Despite the news for a lesser season, Gerry Bell, the lead hurricane forecaster at the NOAA, still urges those in high-risk areas like Florida or along the Gulf Coast not to let their guard down just yet. “There are still more storms to come—the hurricane season is far from being over. We urge continued preparedness and vigilance” he said. The NOAA prediction stems from a number of factors like ocean water temperature and the charting of relevant weather patterns such as El Nino. 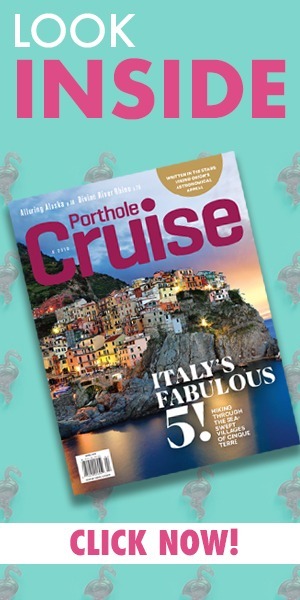 Cruise lines schedule their ships for sailing all year round, including hurricane season. Advanced weather radar technology means that cruise ships are well equipped to not only spot foul-weather on the horizon, but move out of the way of it quickly and safely. It’s not a huge inconvenience for cruise ships to alter their itineraries to avoid a hurricane, but a weak hurricane season is still a blessing for cruise lines, ships and employees looking for smooth sailing and full ships. 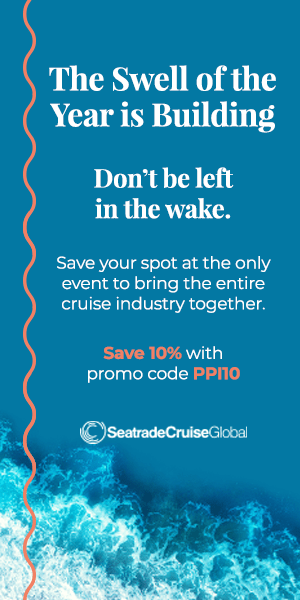 Hurricane season cruises are often a chance to score a great vacation at cheaper prices as the threat of a storm tends to drive down cruise popularity. Now that the hurricane season is winding down before it even started, cruisers should grab their bags and take a vacation!